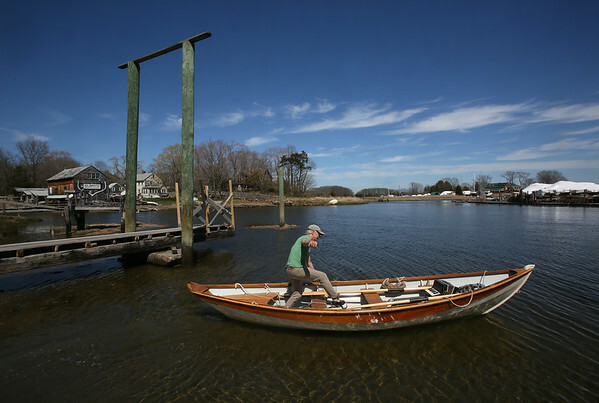 David Driscoll of Essex steps into his row boat, a replica of a 19th-Century Swampscott dory, as he heads out from the town boat landing in Essex on Thursday to start his 2016 boating season. Driscoll, a medical doctor who likes to play music in his spare time, brought his piano accordian along with him so he could practice while out on the water. "My wife won't let me play it at home," he explained.